A wonderful exploration to this hilltribe village - a true homestay to see how the hilltribes live their normal everyday life. 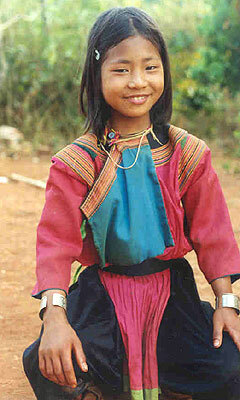 We thoroughly enjoyed the mix of hilltribe culture, hiking, elephants and rafting. A beautifully balanced trip that takes in so much over the two days. Thank you for a wonderful experience. Staying in a remote Lisu village; as well as elephant riding, rafting and hiking. This is a trip staying in an authentic unvisited Lisu village as guests of the family. Its combines sightseeing, easy hiking and staying in an authentic Lisu village off the tourist track. Day 2 After breakfast in the village and saying goodbye to our hosts, we trek through the surrounding hills to a Karen village, where our transport will pick us up. The morning's hiking is approx 2 1/2hrs and fairly easy. The drive back is along a scenic route and we will stop at a small town on the way back for lunch. Highlights - staying with a Lisu hilltribe family in their home, elephant riding & rafting, as well as an easy hike in a remote area. 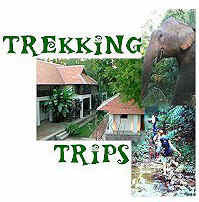 This is a private trek and includes hiking, elephant riding and rafting in the two days. It is a fairly easy trek to a scenic area, staying in a Lisu village. Good for those who want an easier hike and to spend time in an unvisited Lisu hilltribe village.